American truckers aren’t the only drivers who have to face rule changes and new ways of operating in their business. Mexican truckers face the same changes with new regulations to make their roads safer. New rules regarding hours of service (HOS) and logging time on the road may provide much needed relief from fatigue and the accidents that often result from it. 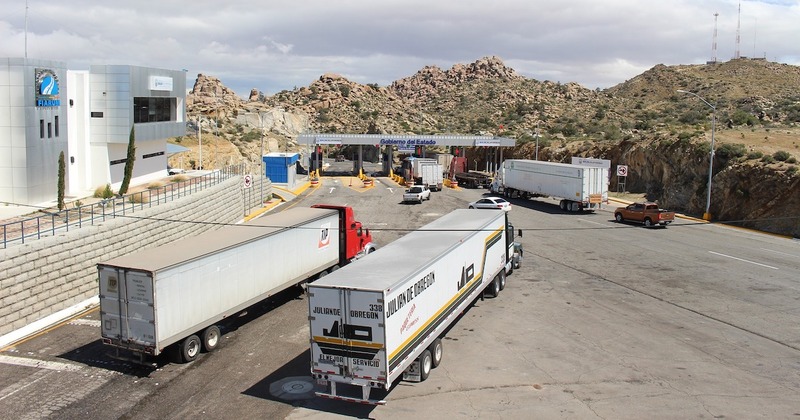 Most of the new rules for Mexico’s trucking industry mirror the U.S. regulations. For drivers who cross the border on a regular basis and conform to US laws, these changes may not require much change. But for drivers who typically stay within Mexico’s borders, you need to know what’s on the horizon. Drivers behind the wheel for five consecutive hours will be required to take a 30 minute break before continuing your route. If a driver has a route that will take 10 or more hours to drive, they are required to stop for an eight-hour break. Fleets and owners should consider adding a second driver to any route that requires nine or more hours of driving. This can be done in lieu of the required eight hour break with each driver alternating their driving time to stay in compliance. Rest periods cannot be saved to use later but must be taken after the set amount of driving time has passed. Drivers must keep a logbook of their Service Hours and show it to authorities when requested. The log is personal and non-transferrable. Electronic logs (ELDs) are allowed and encouraged. Like the U.S., long hours on the road and human error lead to many tragic and expensive accidents. Truck drivers face more accidents than the average driver, and most accidents happen due to fatigue. Surveys of drivers in Mexico have found that 52 percent drive more than nine hours a day and 26 percent drive more than 14 hours a day. Over the past few years, accidents on Mexican roads have led to 16,500 deaths and cost more than $150 million pesos. While the industry will need time to adjust to these new rules, they will also save lives and money in the long-run. Gorilla Safety offers a plug and play ELD system that takes minutes to install and is easy to use. The app not only tracks hours of service but it can also help manage a fleet, maintain good communication, and make sure everyone has the information they need no matter where they are on their route. Our ELD system is designed to grow with your business so you can use it as a simple, affordable ELD or use it as a full fleet management system. New rule changes can be stressful and hard on drivers as they adjust their habits. Gorilla Safety helps make the process as smooth and easy as possible while keeping you in compliance with new regulations. Contact us today to learn more.